Caring for cats naturally makes complete sense on every level: financial, stress, time, etc. It’s a no-brainer. So let’s look at what this means. Cats have evolved in the wild for millions of years. They have adapted and perfected strategies that support them. They do very well. They are healthy and have healthy off-spring. 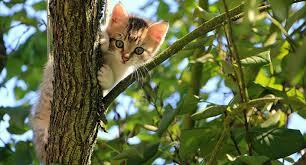 Humans have lived with cats for hundreds, if not thousand of years, but mostly allowing the cats freedom to go about their business as usual. Some people have wanted them to help keep the mice and rats in check. Others have encouraged a more intimate relationship, putting out food for them to encourage they stick around. The common way of confining cats indoors permanently, feeding them kibble and other commercial cat food and medicating them heavily, is a recent phenomena. And it’s not one without its problems. Confining anyone indoors permanently is denying them freedom. This leads to all sorts of behavioural problems, as zoo animals experience all too often. Everyone feels the need to be free, to seek natural behaviour and support. Two of the basic areas anyone feels benefit from is the contact with the Earth and the exposure to the sun. Both have incredible healing powers and cats can suffer badly without free access to these. But perhaps the largest areas that contribute to the demise of cats health is the food they are fed and the medicine they are given. Commercial cat food is a million miles, and more, from the healthy natural food cats find for themselves. The packets and cans are packed in pretty containers and advertised as nutritious, wholesome and scientific, but nothing could be further from the truth. Commercial cat food is nutrient deficient, is not fresh (very important for cats), has added synthetic, and so mostly indigestible, ‘nutrients’ in an attempt to make up the shortfall, and contains other chemicals to preserve, to flavour, to colour. This is one of the reasons cats are such fussy eaters. They know this is not healthy, but there is nothing else on offer. Commercial cat food is great for business for the supplier and retailer. But it’s lousy food for your cat. Instead, you need to feed according to how they eat in the wild. And you will usually see an enormous improvement within a short period of time – a week or two. Consuming non-nutritious food day in, day out, is the surest way to health problems. As day follows night. Just as a car won’t run on the wrong fuel. Caring for cats naturally involves their health care, too. Most people rely totally on their vet for all their cats health needs. And you should be able to. Vets should be your advocate. But sadly, in the recent decades, many have fallen for the big business side of pushing unnecessary procedures and drugs. This is why the costs vary so much between vets. All vet drugs are synthetic. Which means they are all foreign to the body and so toxic. Many contain heavy metals. The organs struggle, especially the liver and kidneys. The toxins are stored in fat cells. The immune system gradually, or not so gradually, slides into almost uselessness. All chronic disease, especially the emerging new ones, with few exceptions, are a direct result of a lack of quality nutrition, a high toxic load, poor living conditions or a combination. And this is compounded with each successive generation, who take on the unsolved problems from their ancestors, with a personal adaptation. The two areas that only you can implement are the living conditions and the diet. And they are both vital for a healthy cat with a strong immune system. 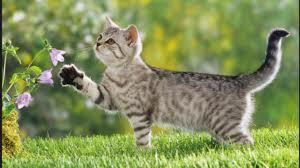 The one area that you will need support with is natural cat health care. This is needed to help your cat overcome any inherited, unsolved problems. To de-tox. And for any past traumas, either physical or psychological. And the best, most affordable, most effective, most gentle, fastest one is homeopathy. These three areas of caring for cats naturally may take you time to implement. Go at your own pace, but keep going. Both your cat and your wallet will thank you for it.